Home / World / Roman Abramovich "eligible to become an Israeli citizen"
Roman Abramovich "eligible to become an Israeli citizen"
The Immigration Department told the BBC that he had been interviewed at the Israeli embassy in Moscow last week , He was faced with delays in extending his British visa. His spokesman did not comment on the reports that had been granted citizenship. , would be the richest man in Israel. His British investor visa is said to have expired a few weeks ago, but the British government has refused to comment on his isolated case. Israeli media report that in Israel he received a passport according to the Return Law, which allows Jews to become citizens of Israel. The Times of Israel said the Interior Ministry has confirmed that Abramovitch had arrived in Israel Monday and that he had immigrated to the country. A frequent visitor to Israel, he bought a hotel in Tel Aviv in 2015, which is reported to have turned into a residence. Israeli passport holders are allowed to enter the UK without a short stay visa. 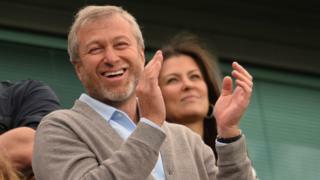 Mr. Abramovich, according to Forbes magazine, has a value of $ 11.5 billion (£ 8.6 billion). The move could be financially rewarding as new Israeli citizens are exempted from the tax on foreign income for 10 years.